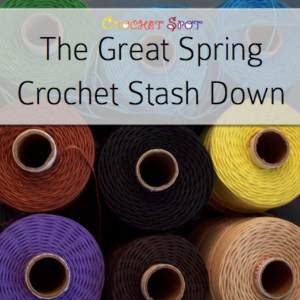 The Great Spring Crochet Destash! It is hard to believe that one quarter of 2017 is already behind us! For readers in the northern hemisphere, it’s time to gear up for warmer weather and sunshine, and shed all of the extraneous yarn and supplies that kept you warm all winter long. But regardless of your location, now is a great time to make a commitment to destash! Read this post and make a plan to get rid of the supplies that have long plagued you and get your space ready for creativity. Melissa Leapman is fiber arts royalty as a prolific and celebrated designer. Known for knitting as well as crochet, Leapman has built a robust career with over 1000 published patterns in print. 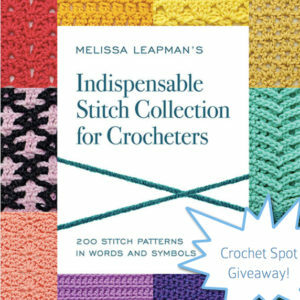 Her wealth of design experience serves as a foundation for her beautiful, new reference book, Melissa Leapman’s Indispensable Stitch Collection for Crocheters. Read on to find out a bit about the book, and to see how you can win a copy! Ever since I attended a craft party for the charity Sole Hope, I have been thinking about crafting with denim in new ways. During the party, we cut up old jeans into pieces to make shoes for children who need them. Thinking of old jeans as a textile, I began imagining painted denim canvases and tote bags. And a denim tote bag would look great with a crochet applique like this one on it! The holidays are just around the corner. How are you doing with your handmade list? Well, sometimes you’d like to add a handmade touch to your gifts, even if you have to buy the gift itself. Previously, I shared Three Ways to Incorporate Crochet into Your Gift Wrapping, and those ideas still hold up. 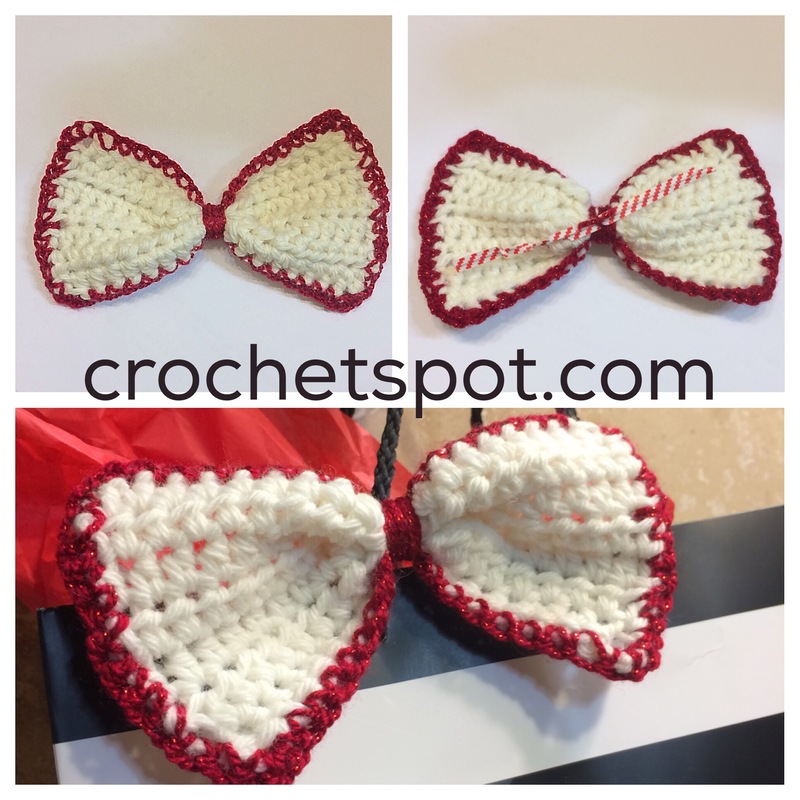 Today I share a simple pattern to make a crocheted bow that you can use over and over. Switch up the colors to match any gift wrap or theme! While this may be a controversial position, I believe the chihuahua is both the cutest and mightiest of dogs! 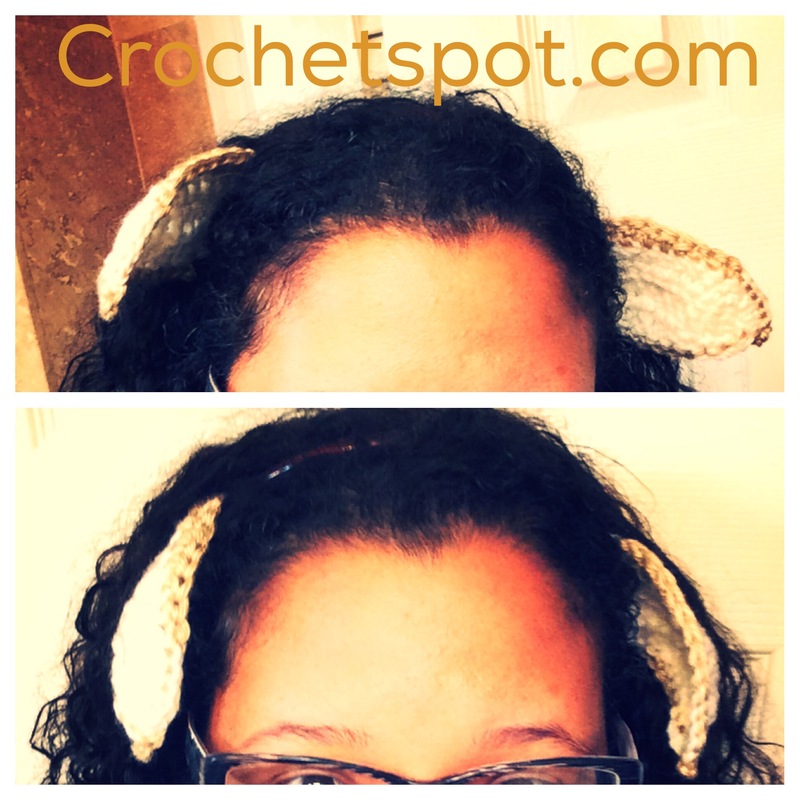 I am excited to share the love by designing this cute chihuahua ears headband. The ears are constructed separately and then affixed to a store-bought, plastic headband. This could be the beginning of an easy Halloween costume. Who says that kids should have all the fun? 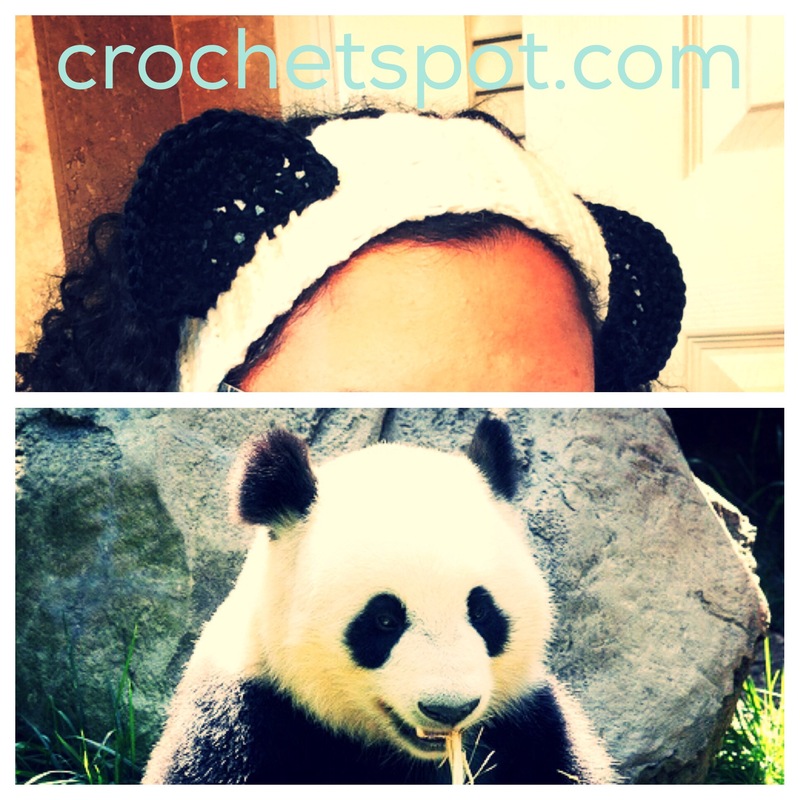 This cute and whimsical panda headband will keep your ears warm and lift your mood. Good for adults aged 18 to 108, this headband also serves as an earwarmer in the colder weather. It could be a great accessory for Halloween, or anytime you feel like rocking panda ears. Finished Size: 22 1/2″ (57 cm) circumference, fits most adults. Instructions to adjust size are included in pattern. I bought a bag of beautiful embroidery floss from the craft store and I have been loving the experimentation process. How can I combine different strands to achieve a different look? Since embroidery floss will always remind me of friendship bracelets, I wanted to make a chunky bangle to keep or give to a friend. I had so much fun with the technique that I kept going! The end result was a jewelry piece that could be used as a necklace or bracelet, featuring links that are perfect for attaching charms. Fun for adults, and kids, too! My artistic heart has been strongly drawn towards mixed media and art journaling lately. While I am learning dozens of interesting techniques through watching instructional videos and devouring books, I am always thinking about how I could incorporate crochet into the mix. 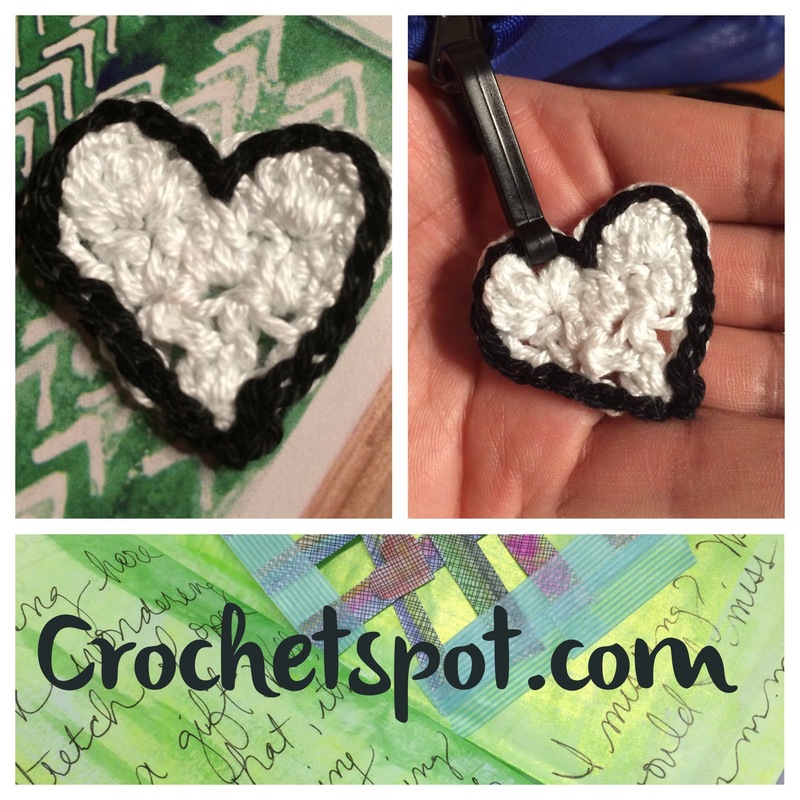 This tiny heart is perfect to tuck into a journal or attach to a page if crocheted in embroidery floss. 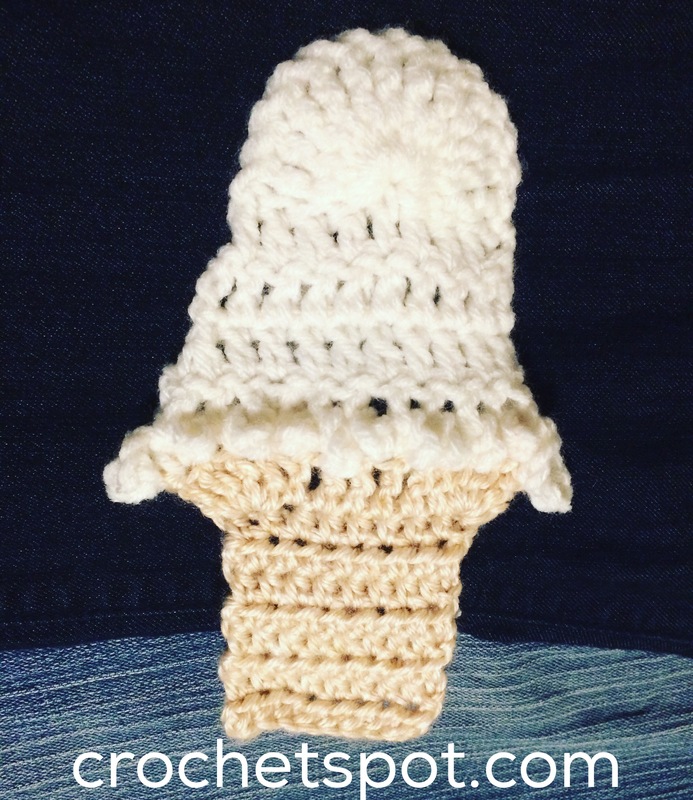 If you decide to scale the hook and yarn size up, this cutie can embellish a hat or a bag. Switch up yarn color combinations for lots of mixed and matched fun! Have you noticed how popular pineapples have been lately? Artistic renderings of pineapples are adorning all kinds of things from clothing to accessories to school supplies! 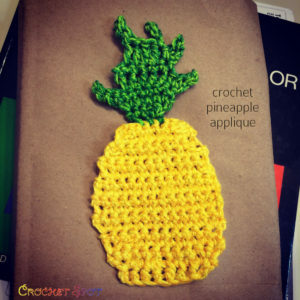 This crocheted pineapple applique was inspired by a cartoon image I found online. I like how this one is a little unsymmetrical. For some reason that appeals to me. It would be fun to crochet this in different colors to decorate a tote bag, t-shirt, pencil case, or even a book cover. Just use strong glue to attach them. 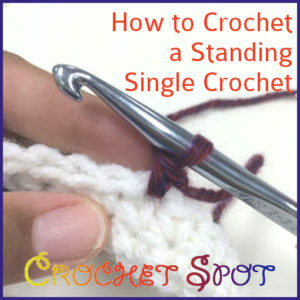 Standing single crochet is a method for joining a new yarn and/or color to your work. 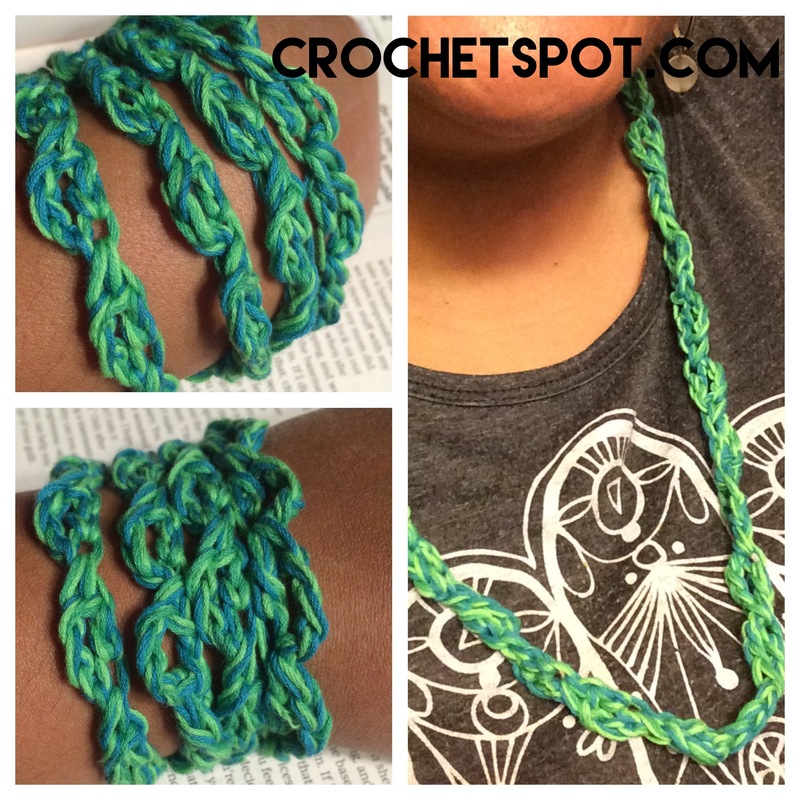 It is as simple as starting with a slip knot on your hook with your new yarn and making a single crochet stitch. You can use this technique in place of having to tie your new yarn to your work.